Epilepsy is one of the hardest illnesses to treat and cure. I believe I have found a way to stop all non tumor and non infectious seizures once and for all. To explain this we have to begin with the actual cause of ALL seizures not related to tumors or infections. The main cause of a seizure is oxygen deprevation. Once oxygen levels drop in the brain electronic signals are sent out causing a seizure. Eventually the brain believes a seizure is a normal brain function and starts to perfect the seizure function which of course develops longer and sometimes more intense seizures. So now that we know what causes a seizure, how do we control them or eliminate them altogether? It is important that tumors and infections first be eliminated as a source of seizures. This can be done through and MRI and spinal tap. Once you have ruled out that you do not have a tumor or an infection, I have outlined the steps you will need to follow for complete healing. Do not attempt to reduce your seizure medication until you have been seizure free for at least 3 month. Then slowly try to tapper yourself off the seizure medications. The recommend removal rate is 20% for the first 4 weeks then the last 20% every other day for 1 week then stop the medication if you have no seizures. If you have any seizures at all during your withdrawal attempt get back on the last dosage before you had the seizure. Try again in 2 weeks. VERY IMPORTANT: Keep in mind nearly ALL epilepsy medication is generic. There are literally hundreds of labs that produce seizure medication. Make sure you find out what lab you are getting your current medication from. If the pharmacy switches labs without your knowledge you could have a very sever reaction along with serious seizures. Each pharmaceutical lab produces medications differently with different ingredients and fillers. Buyer beware!!!!! First: Most epileptics are dehydrated. Did you know that dehydration can cause a seizure? Yes, it can and does. So your first form of defense is to make sure your body is completely hydrated at all times. Electrolytes are very important. You can get these through fresh coconut water "milk", coconut meat or fresh lemon juice. NEVER give a dog coconut flakes or meat they can not digest them. You must consume 1/2 of your body weight in purified water each day. That means if you weigh 200lbs you must drink at least 100oz of purified water each day. Second: You need additional oxygen. Your body may be oxygen deprived. Oxygen is important for your healing. Request that your doctor give you a prescription to buy an oxygen condenser. (this is a machine that makes oxygen out of air) You can either run it with or without a nasal tube. I use mine without a tube. It's just easier for me. I put it on close my doors to my room and let it run for at least 4 to 5 hours. This saturates the room with rich oxygen you can breath in all night long. Third: Eliminate ALL Folic Acid out of your diet. Liver is very high in folic acid. Click here for a list of foods with folic acid. Folic acid renders seizure medication non-effective. Also eliminate vitamins that contain folic acid. Reduce diuretics like salt, caffeine tea and coffee. Eliminate all alternative sugars and all vegetable oils. You will want to include coconut oil to your diet. At least 1 tablespoon daily. Fourth: Buy the Diabetes Diet book so you can learn how to eat correctly. This book is for everyone not just for those with diabetes. Fifth: Add stress supplements to your diet. Sixth: Begin taking Nuroplex pills. Start off with 6 pills twice a day. If your seizures have not stopped after 7 days add 1 pill. If you seizures have not stopped after 3 more days add one more pill. Keep going until your seizures have stopped. You can buy these at www.allergicpet.com the man who invented this product originally made it for pets but it works great on humans too. Start by taking 1oz of fresh lemon juice to 8oz of purified water every morning 15 to 30 min before meals for at least 2 months. This will clear the plaque out of your arteries and clear debris from the tiny capillaries in your brain and brain arteries. PH balance your body by taking calcium magnesium citrate at least 1200mg and acidophilus everyday. You may also want to give your pet drink fresh coconut milk. Papaya pills are very import. They will nutralize acid in your pets body. Add yogurt and apples to your diet. When ever you feel acid try to eliminate it the natural way first. If that doesn't work then take your acid pill. Continue this until you can wean yourself off all prescription or non-prescription acid control drugs. WARNING: DO NOT take folic acid, endosorb, red desert clay, milk thistle or dandelion when on seizure medication. Do not take calcium or foods with large amounts of calcium 2 hours before or 2 hours after seizure medication. These supplements will render your medication ineffective! Coco is my dog. 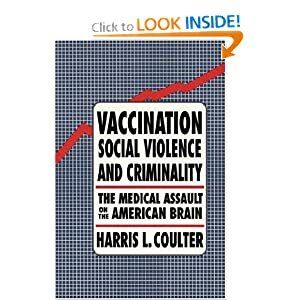 She contracted encephalitis 11 days after she was vaccinated with the Pfizer Distemper - Parvo Lot # A062110 . She was born on 5/31/11 the shot was given on 7/28/11 and she contract encephalitis on 8/7/11. She was about 8 weeks old. The encephalitis caused a high temperature 104 and caused her brain area to swell causing brain damage. The brain damage then began the seizure outbreaks. I explained to my vet that my dog was perfectly fine before they gave her this vaccine. She was running and playing with the rest of her siblings. There was absolutely nothing wrong with her. After the vaccine she developed encephalitis and almost died. My vet assured me it had nothing to do with the vaccine. Later I found out that was not true. Distemper - Parvo Vaccines have been causing encephalitis for years. NEWSFLASH: The supreme court ruled that drug companies can not be sued for vaccine related illnesses or death in humans. There isn't a place to file a pet vaccine reaction or death report. Fortunately, Coco lived through the encephalitis ordeal and was put on seizure medication. After about 1 month on Phenobarbital Coco began having break through seizures. I started investigating natural methods. I first stared using PetAlives Easesure. That worked for a while but then she started having seizures again. About 2 months later I found allergic pet's nuroplex pills. I put Coco on 4 pills twice a day. It worked great she did not have any seizures for over 2 months. My vet and Texas A&M wanted to do an MRI on Coco to find out if she had an ongoing infection and what her brain looked like. I agreed to have the MRI and spinal tap done by Texas A&M on 2/29/12. I was told to stop the herb pills because they might interfere with the medication needed to put Coco to sleep. I stopped giving her the nuroplex pills. This proved to be the biggest mistake. About 10 days after I brought Coco to Texas A&M she started having very bad seizures. I had not started her back on the herb pills because I thought the medication she was on should be working. I could not control Coco's seizures. After about 10 days of seizures I brought her back to Texas A&M for a medication adjustment. I left her overnight at Texas A&M. That was a hugh mistake. The next day I picked up Coco she was screaming. I asked Texas A&M what they did to my dog. They just replied oh it's just the medication or maybe she is happy to see you. I told them she has never acted like that. When I picked her up from the MRI and spinal tap she was fine she was not screaming like she was this time. She kept screaming for over an hour and a half in the car. To this day I have no idea what they did to my dog. She started having seizures in the car. The new meds obviously were not working. I promptly took Coco to a nearby vet hospital. They started her on a valium drip and seizure medications. Dr Levine told me he would help with any medication Coco needed that she could not get from the vet hospital. I emailed Dr Levine and asked him to contact the hospital to arrange for additional valium to be sent for Coco case. He told me NO, he now could not help with any medication for Coco. In a last ditch effort to save my dog Coco, I asked the pet hospital to begin giving my dog the Nuroplex herb pills that had worked for Coco before. They did and within 4 days the seizures had all but stopped. Praise the Lord! I brought Coco home on 3/25/12. Coco had 3 more seizures at home the first 2 days and has not had a seizure since. I am currently weaning Coco off ALL 6 meds Dr Levine put her on and I am happy to report Coco is SEIZURE FREE!!!! When I asked Dr Levine to help me wean Coco off the un-necessary meds he refused and told me to talk to my vet who then told me to talk to the neurologist. What a racket....No Doctor wanted to help me get her off all these meds that were damaging her liver and kidneys. Unfortunately, most doctors only know one way to help people and that is with medication. They will NEVER tell you how to use natural methods, because they don't know how to use them. We finally got Coco off all the medication except for 3 meds. My local vet Dr. Chloe helped me with Coco's care. She provided me with all the medication and Valium Coco needed in case of an attack. At the end of May, Coco began having very bad seizures lasting more than 45 minutes. The veins in her legs were so messed up from all the hospital visits that doctors had a very hard time finding a vein to give her propofol. We hope you have better luck with your pet.